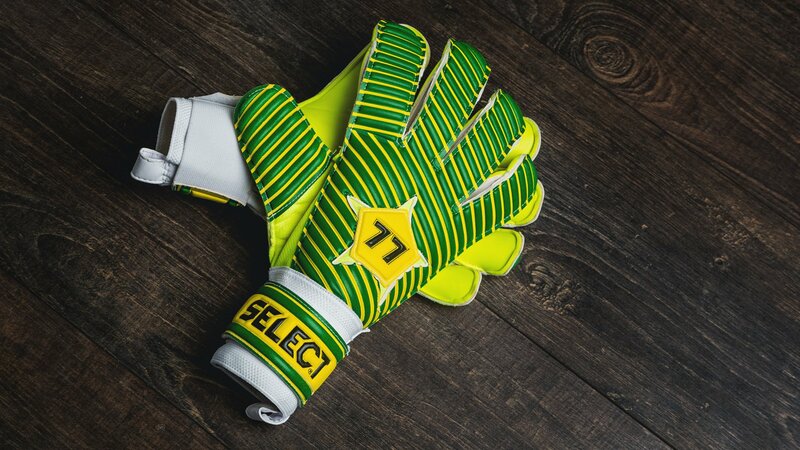 You didn’t read wrong, the classic Select 77 glove returns. Danish goalkeeper legends such as Troels Rasmussen and Michael Stensgaard both played with the glove. 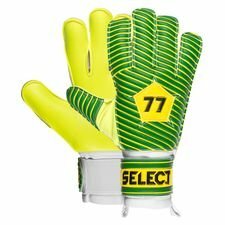 Unisport and Select brings back the Select 77 glove. At first the glove doesn’t look like it has changed since the 80’s. But a lot has changed! The Select 77 glove has gotten some design changes, so it’s ready for the modern game. You could argue that there has happened a lot since the 80’s, back when Michael Stensgaard was at Liverpool and Danish legend Troels Rasmussen played and used this glove. You get the same legendary green and yellow combination, with the iconic star and 77 written on the backhand. The area where the glove has changed the most is on the technology. The backhand, the green and yellow design, has gotten a 3 mm Deep Embossed Soft latex, which gives a soft and flexible. The backhand is now thicker than before, due to the materials, and this will protect your hands in situation where you have to duel against opponents to get the ball. If we take a look at the palm, which is equipped with a 3 mm Super soft Latex and this will secure you the best possible grip in all conditions. It even often gives you a better grip than other types of latexes during rainy days. Furthermore, Select has also equipped the glove with a Anatomical Fit System, which secures you the best possible fit. But how do we know that? The system will form the glove, so you hands always are in a natural catching position, which makes you ready to catch any football and safe the day for the team. Now we are going to the more geeky area, which is something that we like here at Unisport, and that’s the Cut of the Select 77. Select has equipped the glove with their HYLA Cut, which is a combination of Roll and Flat Cut. This means that the latex is rolled around your fingers and this gives a nice fit. Furthermore, the Select 77 glove will have a flat palm, which is one of the more classic Cuts on the market. We can’t wait to see this glove in action again. You can already now order a pair and get ready for a new season.